If you’re an electrician or technician who is responsible for keeping industrial systems and processes up and running safely, efficiently, and cost effectively you know that the quicker you can find a problem, the quicker you can fix it. A digital multimeter (DMM) is a necessity for troubleshooting and diagnosing electrical and electronic problems accurately, but sometimes finding the problem takes more time than you’d like. What if you could narrow down the problem area in seconds, without touching the equipment? That’s the value of the new Fluke 279 FC Thermal Multimeter. It is a full featured professional DMM with an integrated 80 x 60 resolution thermal imager (also called an infrared camera), and iFlex® and Fluke Connect® functionality. Use the thermal imager to locate hotspots and then test volts, amps, and temperatures with the DMM to diagnose the problem. When repairs are complete you can validate that they were successful with the thermal imager. 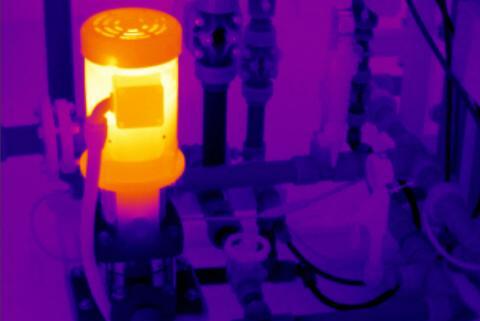 A thermal imager and DMM combination can help you troubleshoot and verify potential electrical problems faster. Rather than having to probe every breaker, or tighten every screw on every breaker, you can use the thermal imager to quickly identify hot spots. Turn to the volts and amps measurements to diagnose the problem. Then make the repair and capture an “after” image to verify the repair. You can save the images and measurements and upload them to a PC or to the Fluke Cloud™ and easily create reports with Fluke Connect software. In addition to saving time, you’ll save room in your tool bag. 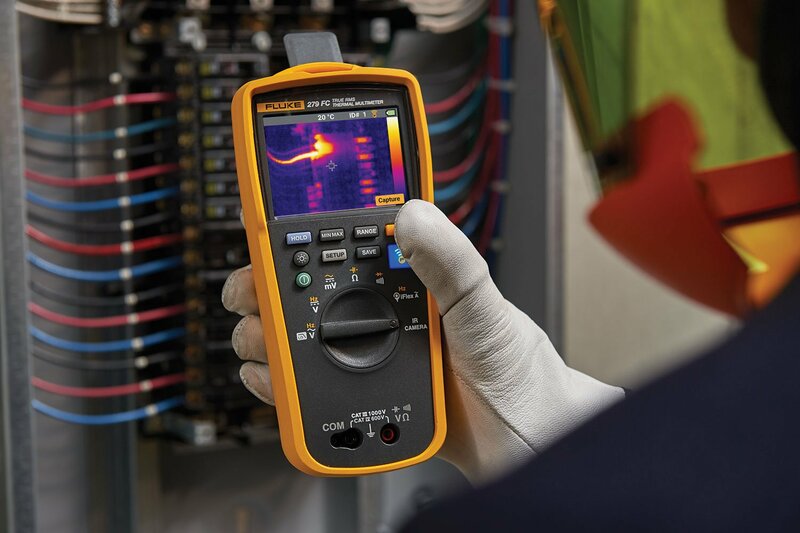 With a Fluke Connect-enabled thermal multimeter you can typically resolve problems in one trip and save the hassle of having to hunt down a shared thermal imager. Start by scanning the equipment to get a good idea of where the problem is. Once you’ve identified the hotspot, you can put on your personal protective equipment (PPE), and use the DMM to further troubleshoot the problem.Once the problem has been identified, de-energize the equipment, and connect the DMM to monitor the circuit. Document the fix using captured meter readings, and a thermal image available thru the Fluke Connect mobile app on your smartphone from outside the hazard zone. Use the app to start your trip report. Using this system will save troubleshooting time, downtime, and improve your efficiency which makes both you and the facility more productive. You already know how to use a DMM. The thermal imager with 279 FC is so intuitive that you can get started right away. Just turn the dial to “IR Camera” and scan the area of interest. When you see a hot spot or cold spot, as indicated by the heat signature, you’ll know where to connect the DMM to troubleshoot further. Plug in the iFlex wireless current probe to the DMM and instantly extend your current measure- ment capability to 2500 A. The iFlex current probe fits around large conductors and in tight awkward spaces. With the integrated iFlex technology inside the 279 FC, you see the actual amperage measurement on your display and no longer have to make complicated conversions. 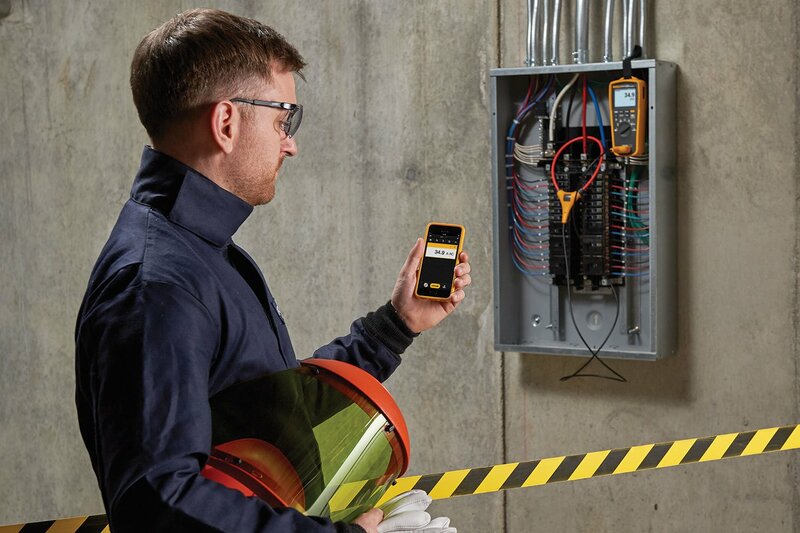 Plus, both the meter and the probe are Fluke Connect capable so you can set them up at the test point and move out of the hazard zone and read current measurements on your smartphone with the Fluke Connect mobile app. Large 3.5 inch (8.9 cm) color LCD makes it easier and faster to locate potential problems with a thermal image. Minimum 10 hour battery life lets you work a complete shift without having to recharge or change batteries. Independently tested CAT IV 600V/ CAT III 1000 V safety rating makes it a great choice for industrial applications. Assembled rugged in USA to stand up to harsh industrial environments. With all these capabilities a thermal multimeter is likely to become the cornerstone of any techni- cian’s tool bag. It saves space, saves time, and can increase your productivity and confidence by helping you find, repair, validate, and report electrical issues faster and easier.